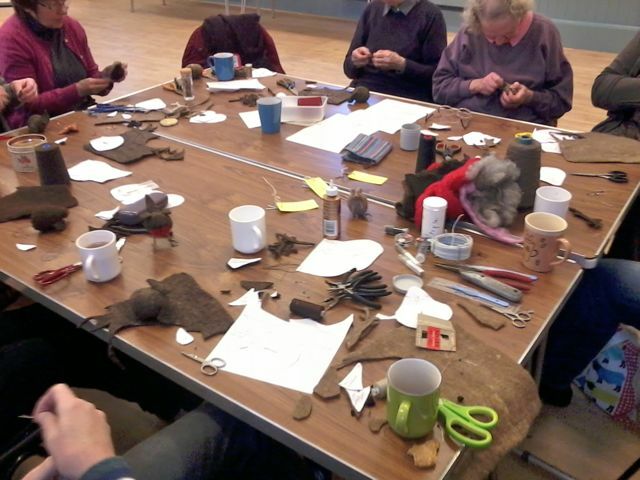 A good project before Christmas. 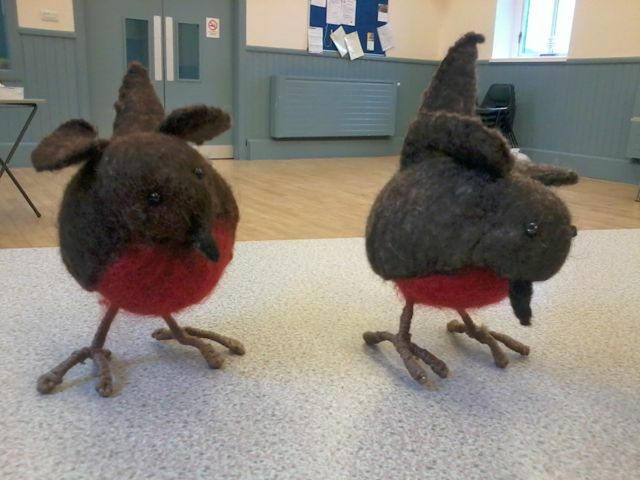 One of our members, Janet Armstrong, showed us how to make felted Robins, or we could make a mouse too. 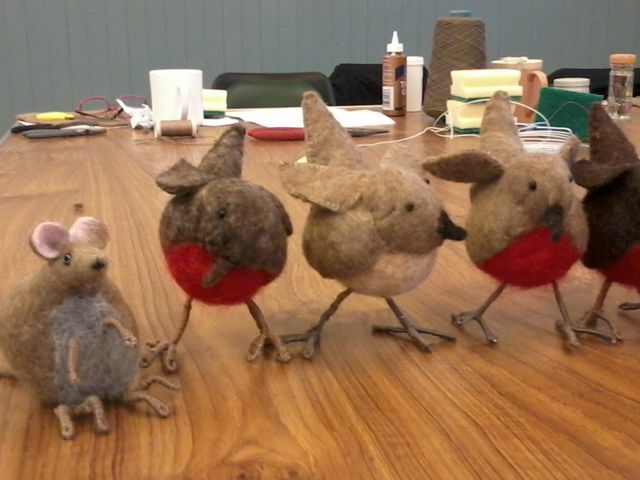 We all went for robins. 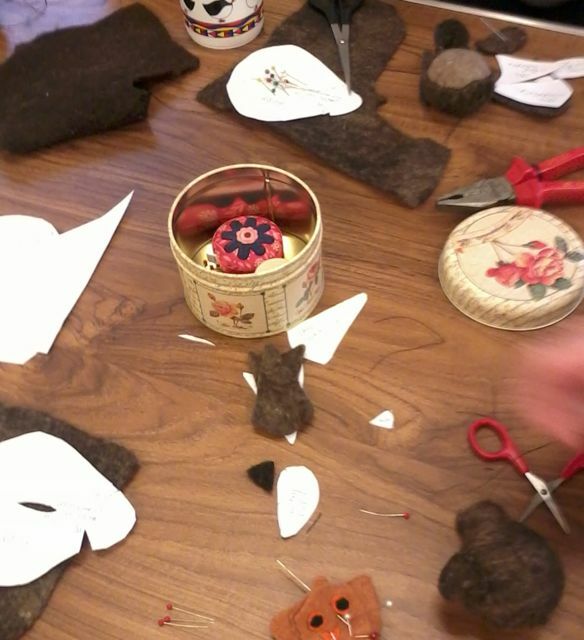 Janet had made a felt ball for each of us to base our robins on, and had made flat felt for us to cut out to make the robin. 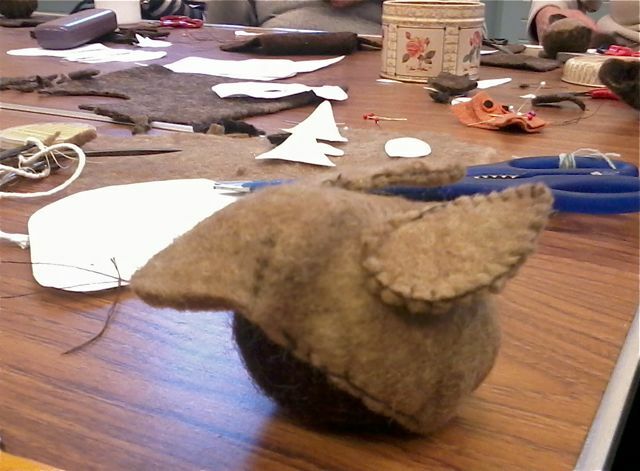 We had to sew darts in the main body piece and then sew it onto the ball, leaving the head area unstitched. 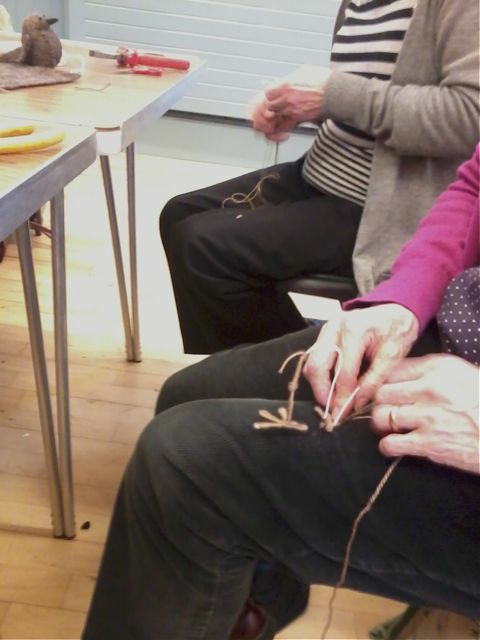 It was a bit of a walk down memory lane remembering how to do blanket stitch. 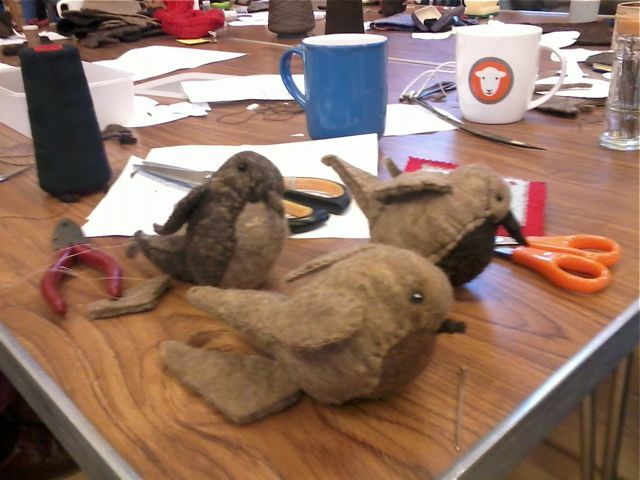 We stitched around the wings and attached them. Sewed the 2 tail pieces together, stuffed the tail and sewed it to the body. 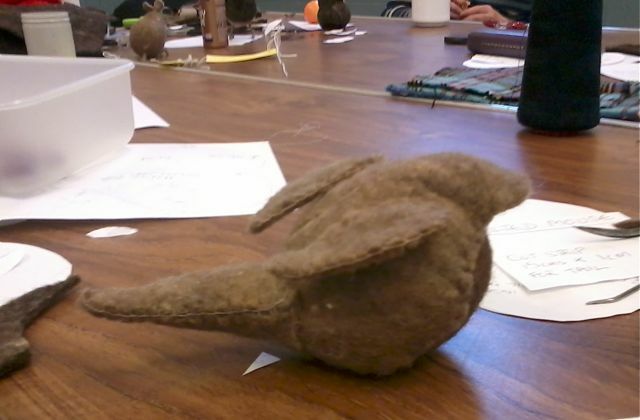 We stuffed and sewed the head and added beads for eyes and a black felt beak. 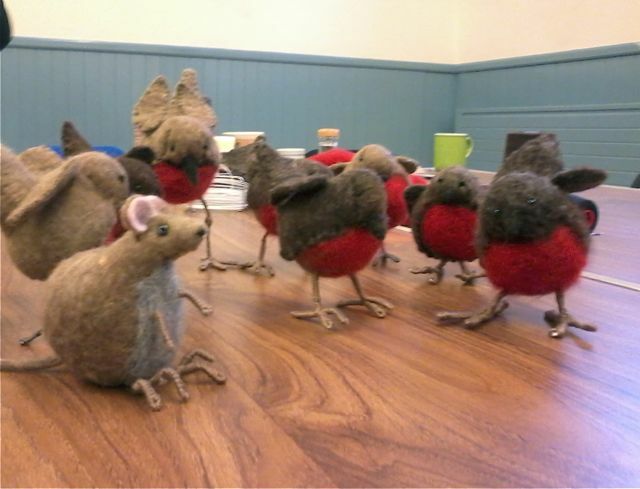 There was even a Chris mouse! 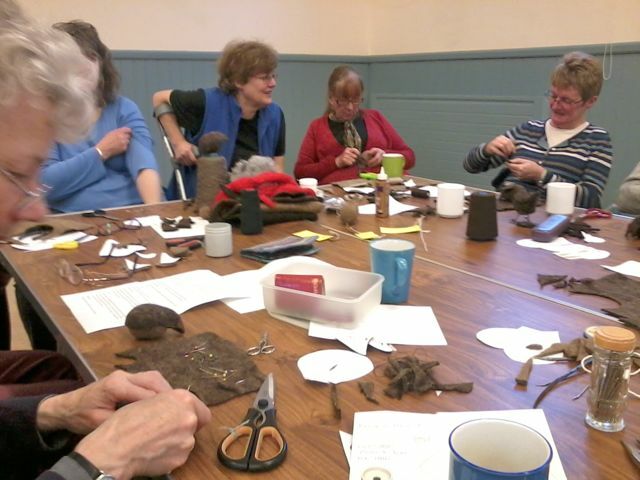 This entry was posted in Felting and tagged Christmas, crafts, felting, in-the-round, sculptural, toy, Tweed Guild, workshop. Bookmark the permalink. 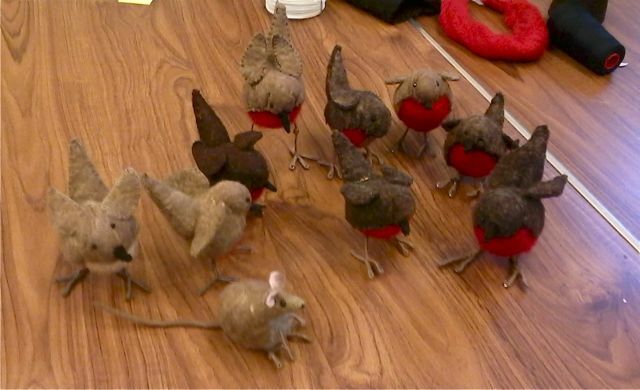 Can we please have the instructions for making the mouse.